Wondering how time flies? Want to slow it down? Live the Longest Year of Your Life & Make Every Second Count! With the latest in brain science, discover how to stretch the good times and fast forward through the bad ones. 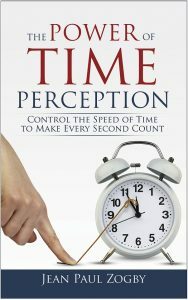 Understand how your brain perceives time, why it speeds up, and how to Make Every Second Count! I have always wondered how time seems to speed up as we grow older. Som many friends felt the same way. So I started researching the subject in the fields of neuroscience and psychology, and ended up writing this book after 6 years fo research.